March 15, 2018 – United Way of Nevada County is currently seeking volunteers who represent a cross-section of Nevada County to serve on their Board of Directors. Preferably, the ideal candidates would have local business, county/state government, sales or marketing experience, and most importantly a passion for our community. Board members participate in special committees, United Way programs, fundraising events, and bi-monthly board meetings. 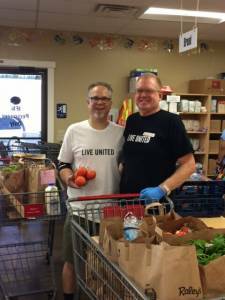 United Way of Nevada County’s mission is to improve lives by mobilizing the caring power of the community. United Way of Nevada County envisions a community where all individuals and families achieve their desired potential through Healthy Lives, Education and Income stability. Their current service priority is to strive to assure individuals and families in Nevada County are able to meet their basic need for food, emergency shelter and access to health care. United Way is constantly looking at where the gaps are in services in the community, and through research, strategic planning and due diligence, work to make impactful change in filling those gaps. Along with creating a new food distribution program, Food Access Saturday, UWNC has helped to deliver lunches to kids during the summer, provide emergency shelter nights to those in crisis, deliver meals to homebound seniors during the winter, provide medical services to people living with Aids, and more.